Hi, just wanted to say thank you to you and the Society for setting up this tribute page to my Uncle Steve on your website. It's wonderful. I'm really glad Aunty Helen has allowed you to do this so the rest of his family and friends can read about the memories and stories people shared with him. We think of and miss Uncle Steve everyday, such a huge loss to us. Having the opportunity to read this blog style tribute will bring comfort. Thank you. My most recent and most poignant memory of my Uncle Steve is when he and my parents visit my husband and I in Oxford just after we had had our son, Toren. I'd also dislocated and fractured my ankle the day after giving birth and had to have my ankle fixed with a metal plate and screws! Uncle Steve was a wise man in the art of injuries and their subsequent surgeries. He was a comfort to talk to and gave me some valuable advice so that I could heal well and quickly. Uncle Steve wasn't the keenest to hold my week old baby but he did and although my son had a little squeak at him, he didn't cry! I think this pleased them both! The photo of them is attached. I don't think I have anything else to add to the picture, just that that I'm glad that moment happened for my son and for me and that we got a photograph of it (despite Uncle Steve's objections)! It has become a very precious photograph to look at and a memory to treasure. I have some brilliant memories of Steve some not clean enough to publish on here, we went why back to the 70's in the church choir at St Alkmunds, also in WAODS, and as his postman. I always enjoyed the crack at rehearsals, as he had a brilliant dry sense of humour. 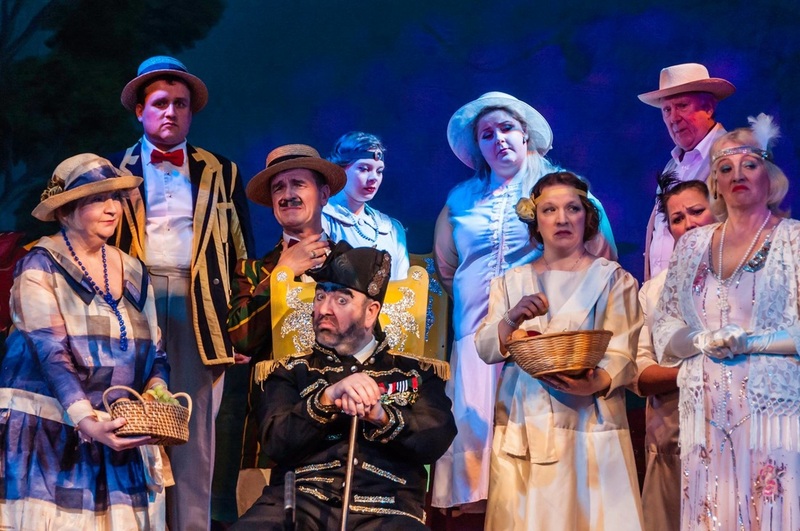 I was impressed as he was always supportive of the up and coming youngsters in the society with some good advice, most recently with my daughter Jasmine in The Mikado in March. I am struggling to come to terms with his loss, as are many others, I won't forget him that's for sure. Rest in Peace old Chap.